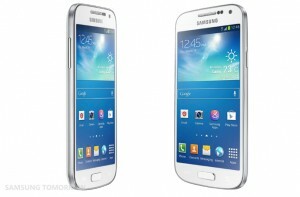 Samsung has just announced the mini version of its flagship Galaxy S 4. Samsung is also working on waterproof & dust resistant Samsung Galaxy S 4 Active and Samsung Galaxy S 4 Zoom with 16 megapixels of camera. Samsung Galaxy S 4 mini offers 4.3 inches of super AMOLED display and is powered by Snapdragon 400 dual core processor which is clocked at 1.7Ghz. Galaxy S 4 mini has the same great look and feel as of its big brother Galaxy S 4 and it just weighs 107 grams. 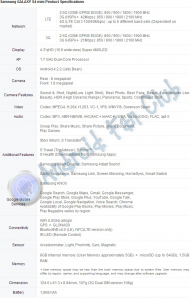 The camera has been downgraded from 13MP to 8MP in Galaxy S 4 Mini as compared to Galaxy S 4. There are many software enhancements in TouchWiz launcher. The stock OS for S4 Mini is Android Jelly Bean 4.2.2. There’s 1.5GB of RAM and 8GB of internal storage in addition to an external microSD card slot which supports up to 64GB. 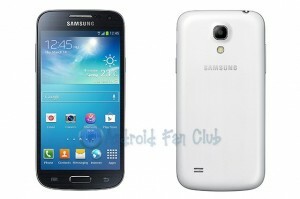 Galaxy S 4 mini will be sold in white frost and black mist. 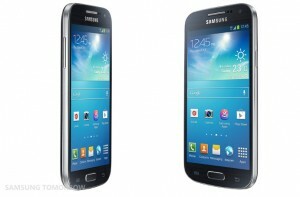 The availability of Galaxy S 4 mini will be market dependent and there are no words on the pricing as for now. Hands-on product experiences of GALAXY S4 mini will be offered at Samsung Premiere 2013 GALAXY & ATIV, London, Thursday, June 20th.